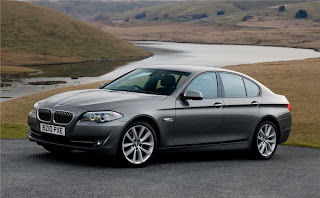 This article is about BMW executive saloons built since 1972. For the BMW luxury cars built in the 1950s, see BMW 501. 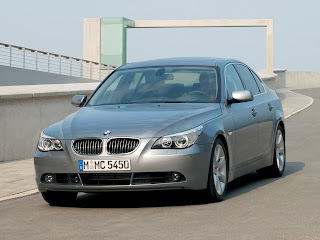 The BMW 5-Series is an executive car manufactured by German automaker BMW since 1972. The car, now in its sixth generation, is sold in sedan and touring body styles. It is BMW's second best-selling model after the 3-Series and in 2010 produced about 50% of the BMW's profits. The 5-Series got its name by being the fifth of the "new series" cars after the V-8 and Isetta era and was the replacement for the older four-door New Class sedans. 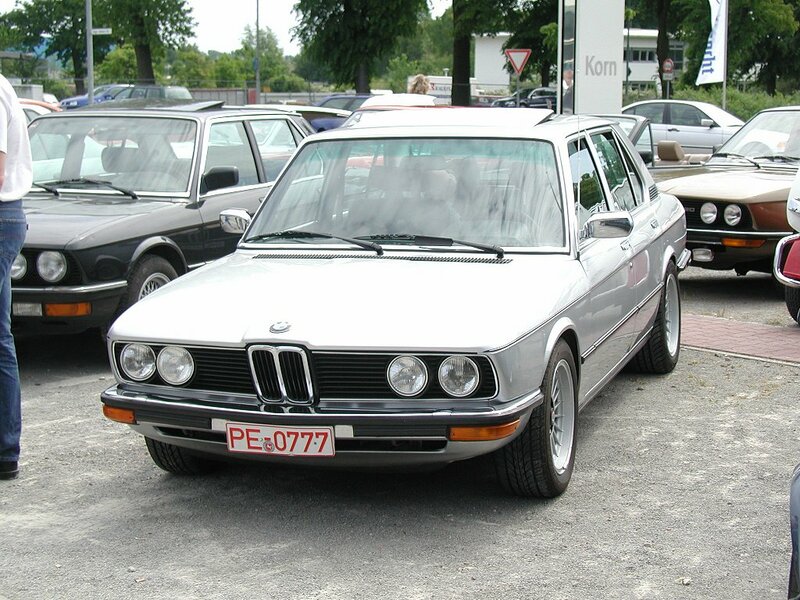 The current BMW naming convention was introduced with the E12 5-Series. The E12 5-series was produced from 1972-1981 (produced until 1984 in South Africa). The E12 is the first series to bear the 5-Series name: the '5' denoting BMW's fifth 'New Class' platform. 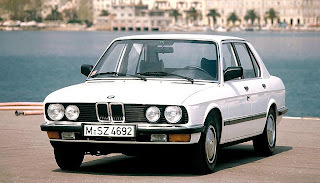 Designed as a replacement for the BMW New Class mid-size sedan, the E12 5-Series models were smaller than the large BMW E3 sedan but larger than the two-door 2002 models. 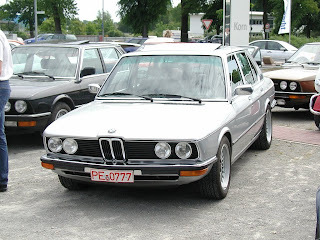 While there was no E12 M5 produced, the E12 M535i is seen as the predecessor to the M5. BMW E28 is the second-generation BMW 5-Series, produced from 1981-1988. Styling changes to this model included revised headlights, thicker rubber bumper surrounds and large rectangular taillights. Mechanical changes included the addition of a six-cylinder diesel engine (in both naturally aspirated and turbocharged forms) and an automatic transmission. 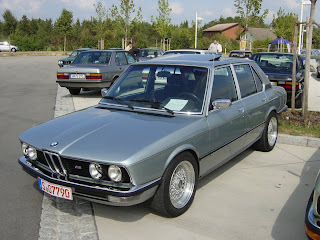 The M5 model line began with the E28 M5, which uses the S38 six-cylinder engine. 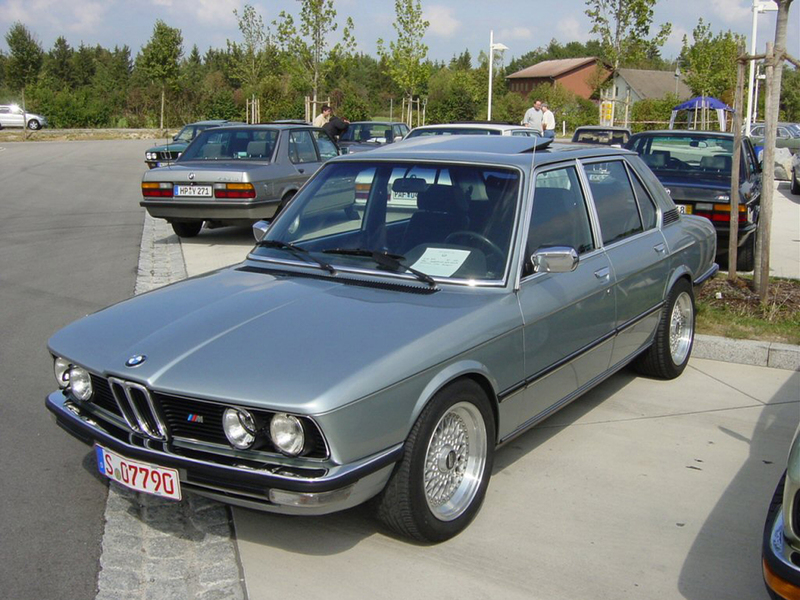 At its launch in 1984, the European specification E28 M5 was the fastest production sedan in the world. The BMW E34 is the third-generation 5-Series, produced from 1988-1996. It had a stiffer body and was more streamlined than its predecessor. 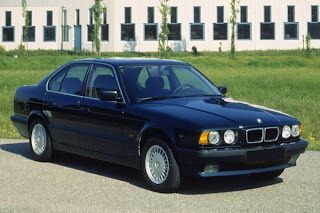 The E34 was among the most reliable luxury cars on the market, earning the best-in-class ratings from Intellichoice in 1991, and still considered one of the most reliable BMWs ever made. It was also one of the safest cars on the road during its production, providing airbags, 4-wheel anti-lock brakes, and a very rigid body structure to protect occupants in the event of an accident. It was also equipped with automatic stability control (ASC) or traction control (ASC+T) in later years on higher-specification variants. The E34 M5 uses upgraded versions of the S38 six-cylinder engine. The BMW E39 is the fourth-generation 5-Series, produced from 1995-2004. The design draws heavily from the E38 7 Series in body construction and electronic technology and the wheelbase grew by 68 millimetres (2.7 in) and overall length by 55 millimetres (2.2 in) over the E34. Car and Drive often featured the E39 in its "10Best list". The E39 BMW 5-series was considered the benchmark of its class and Consumer Reports gave the 2001 530i its highest car rating ever. 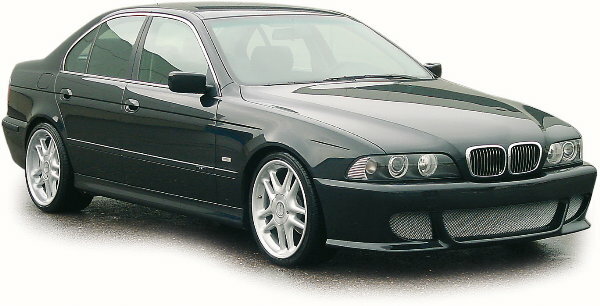 The E39 M5 uses the S62 V8 engine. 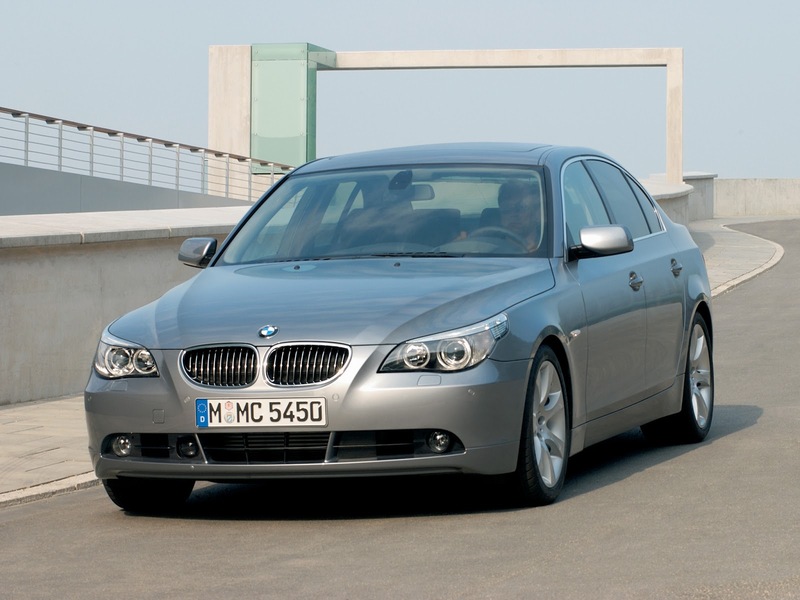 The BMW E60 is the fifth-generation 5-Series, produced from 2003-2010. Its non-traditional styling (designed by late BMW designer Davide Arcangeli) and many of its features received mixed reviews. Despite criticism over its exterior design and interior electronics, this became the best-selling 5-Series. The E60 M5 uses the S85 V10 engine. 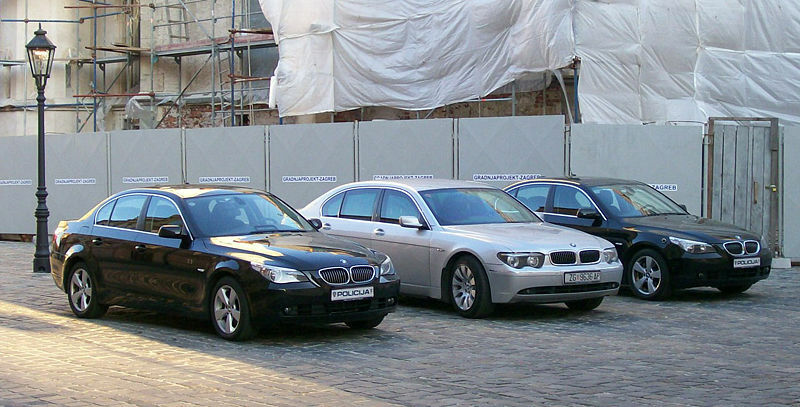 The F10/F11/F07 is the sixth-generation 5-Series, produced from 2009–present. The platform is based on the F01 7 Series; improvements include a front dual ball joint short-long arm suspension (replacing the MacPherson strut suspensions BMW previously used), and a rear multilink suspension. A long-wheelbase version is sold in China. 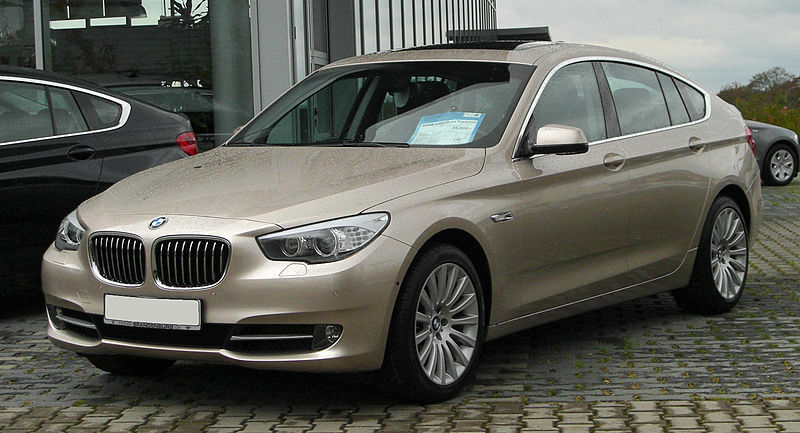 Mexican built armored BMW 5 vehicles are also built on the wheelbase from the Chinese long-wheelbase model. 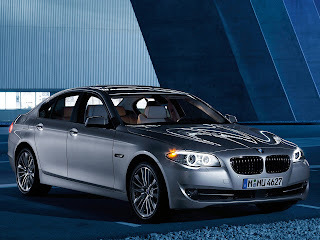 This armoured model is known as the BMW 5 Security and only is available in long-wheelbase form with the 4.4L V8 engine. 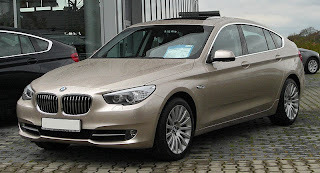 In 2009, BMW released the 5-Series Gran Turismo (F07), a five-door fastback of similar body style to the Porsche Panamera The GT is taller than other fastback competitors. The F07 (designed by Christopher Weil) shares the same F01 7 Series-derived platform, powertrain, and mechanical package with the F10. However, the F07's fascia has different headlights and bumper, with a larger split-kidney grille similar to that of the F01 7 Series. The F07 is also taller, resulting in a higher center of gravity and its greater length allows for more rear legroom. The F07 also features frameless doors and a double-pane liftgate truck. The hybrid electric concept version of the BMW 5-series, introduced as BMW Concept 5-Series ActiveHybrid, was unveiled at the 2010 Geneva Motor Show. The use of BMW ActiveHybrid technology allows the hybrid electric version to reduce both fuel consumption and emissions by more than 10%. According to BMW, the production version is scheduled to be released in 2012. The E39 5-Series was on Car and Driver magazine's annual Ten Best list for six years straight, from its introduction in 1997 through 2002. It was also Motor Trend's Import Car of the Year for 1997 and What Car? Executive Car of the Year 1997 through 2002. The E60 was named "Best New Luxury/Prestige Car" in the 2006 Canadian Car of the Year awards. Active Seat continuous passive motion seating comfort technology recognized as one of the Best Inventions of 1998 by Popular Science magazine. Consumer Reports found the E39 5-series their best car tested in 2001–2002. The JB car pages have awarded the BMW 5-Series a best-in-class 4 1/2 star rating. Last updated on 13 August 2013 at 20:19.